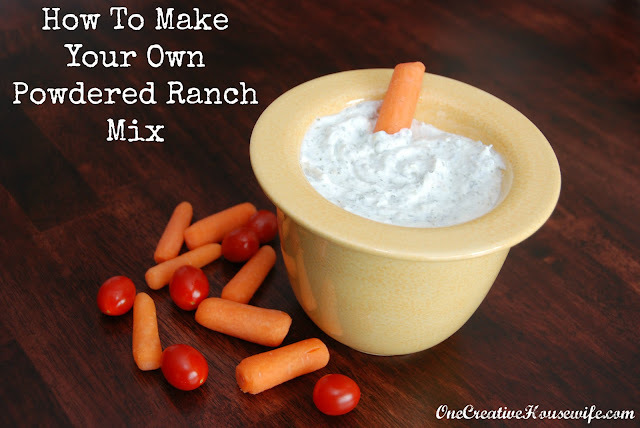 I have been trying for a while now to come up with a mix to replace the packaged ranch mixes I have been buying. There are a ton of recipes out there but some were too salty, some to garlicy for my families taste, and some just didn't have enough flavor. I finally came up with a mix that is just right for my family. To make dip mix 1 Tablespoon with 1 cup sour cream, or Greek yogurt.